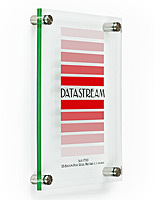 What's something that's frequently spotted in almost any public place you end up going? 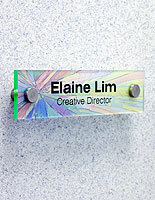 You guessed it – office door signs. 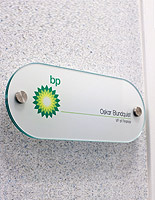 No matter where you go, it's not at all uncommon to see some form of signage display. 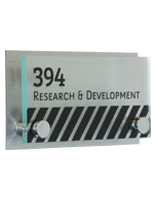 These office door signs, also know as wall name plates, help to guide visitors easily and safely to the rooms or hallways they are looking for. 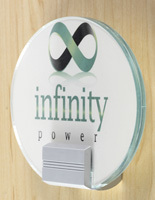 For those reasons, signs are frequently spotted in office suites and buildings, as well as many other places. 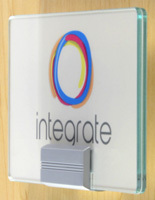 Office door signs are a great way to create wayfinding and room labels. 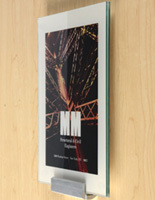 We make sure it is fast and simple for you to get your sign displays set up around your establishment with these frames. 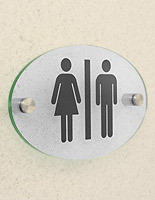 The DIY signs featured here are especially easy to use. 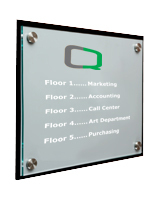 Getting your customized messages out with these wholesale office signs has never been easier! 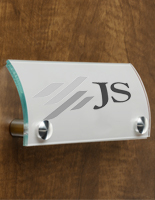 What are some features of these door name plates? 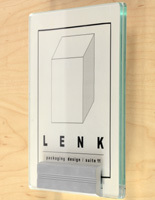 The office door signs come in non-standardized sizes: 6" x 3" rectangular, 6" x 6" circular, 6" x 6" square, and 8" x 2" rectangular, just to name a few. 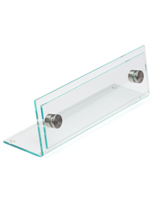 The holders are crafted from green-edged acrylic and stainless steel standoffs. 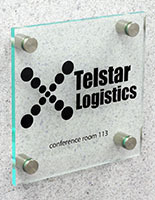 The acrylic gives the impression of being a glass panel; however it is less expensive and far sturdier than glass, giving you a longstanding sign display. 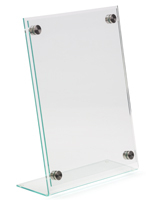 Your signs are held in place by being sandwiched between the two acrylic panels and then being secured with the standoffs. 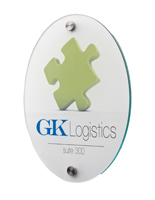 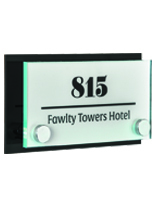 This signage allows you to create custom company signage to fit the non-standard sized holders. 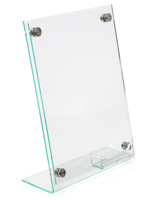 We include a link to online templates that enable you to design your sign to fit the frames. 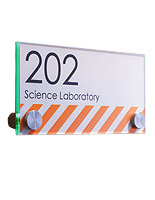 Clear and frosted printable films are also included with purchase so you can use your own laser jet printer to create the signs. 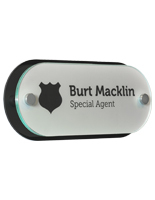 Everything you need to create a DIY customized piece of signage equipment is in this one convenient package! 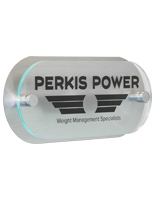 Remember, with SignSupplies2Go.com, the higher the amount you order of this product at once, the lower price per item you'll pay. 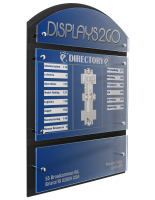 The affordability of these sign frames means that many different locales like to take advantage of them for their establishments. 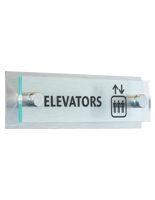 Naturally, they are quite popular for use in office suites and company buildings for directions and room labeling; however these are not the only places the signs are found. 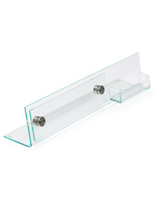 Schools and universities like utilizing them for similar reasons. 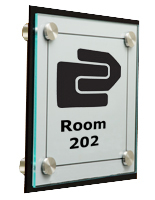 Hospitals find these signs useful to provide patients with directions to specific rooms and suites. 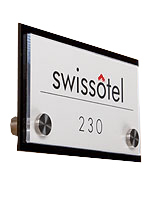 Hotels like the sign making equipment to guide visitors to the special amenities their facility has to offer. 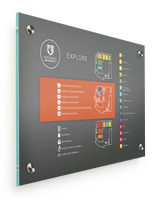 They're great for museums to use for directions and offering information about the displayed pictures. 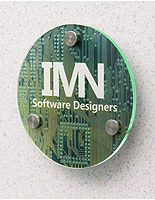 These door name plates are also very easy to install on walls and doors, another aspect that lends to their popularity.